2017 has seen some pretty big jackpots spread across a range of lotteries. Perhaps predictably, the top jackpot of the year so far has come from the United States’ most popular lotto, Powerball. This is the game that wowed the world in January 2016, when it paid out a world record jackpot of $1,38 billion. At the time of writing, this remains the only billion-euro lottery prize ever won. No lottery has reached quite the same heights yet in 2017, but Powerball has once again led the way in paying out some big prizes. Say hello to the richest lottery winner of all time! When Powerball paid out an even larger prize in January 2016, three ticketholders shared the jackpot – whereas Wanczyk was the only jackpot winner in her draw. That makes her prize the largest ever paid out to an individual lottery player. Go Mavis! The biggest jackpot of the first half of this year so far (also the second biggest overall) arrived on June 10th, when a player from Sun City, California was the sole winner in a $447.8 million draw. This prize now goes down in history as the tenth largest individual lottery prize of all time. MegaMillions has fallen a little way behind its sister draw, Powerball, in terms of the level of jackpots it offers. However, every once in a while it likes to remind us of what a phenomenal lottery it is in its own right. That’s precisely what happened this August, when MegaMillions dished out a gigantic prize worth € 390 million to a single, anonymous winner from Illinois. Just when you think MegaMillions is on its way out, this classic American lottery delivers its fifth highest jackpot ever! As a matter of fact, this could be a sign of things to come. In November, MegaMillions instated a series of rule changes designed to deliver monster jackpots more often. The third biggest jackpot of the year so far has a remarkably similar story to the second biggest! Again, the prize was won by a single ticket-holder; and again, the win came from the Powerball lottery. Even the jackpot level was pretty similar, at $435.3 million (approx. € 381 million). “We can tell you that he is a Purdue grad who works at a Lafayette manufacturing plant. “This is a dream come true for the winner, and he wishes to thank the Hoosier Lottery and Powerball. He is also grateful to his wonderful family and the Greater Lafayette community. “The winner is very family oriented and close to his siblings and parents. He plans to give some money to family to help family members pay for their education and maybe earn an advance degree himself. He anticipates making donations to charity, but he has made no decisions at this time. It’s not just lotteries in the United States that are giving out massive lottery jackpots! 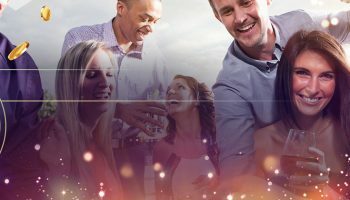 This October, for the third time in its history, EuroMillions paid out its maximum jackpot of € 190 million. Not only is this the biggest prize available in this particular lottery; it’s the highest ever prize ever won by an individual lottery player in Europe. 1, 9, 15, 19, 25 and the Lucky Stars 1 and 7. 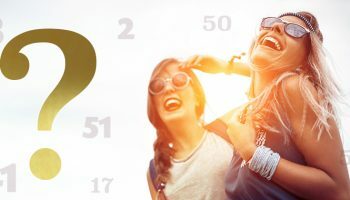 The EuroMillions draw on June 2nd was the 1012th in the game’s history – and it turned out to be one of the most spectacular. It saw a jackpot of € 153.8 million paid out to one lucky winner in Belgium – the eighth biggest prize in EuroMillions history. A further seven players shared the € 290.732,00 runners-up prize fund. The EuroMillions jackpot fund reached this outstanding jackpot level partially thanks to a € 100 million Superdraw that took place a few draws before the prize was won. This artificially boosted the jackpot beyond its usual levels. Once again, we don’t have much information on the winning player, as they have chosen to remain anonymous. Two things we know for sure: they’re lucky, and rich! This jackpot win may not have been on quite the same jaw-dropping level as the others we’ve mentioned, but we think it’s still important to mention it. It’s part of EuroJackpot history! 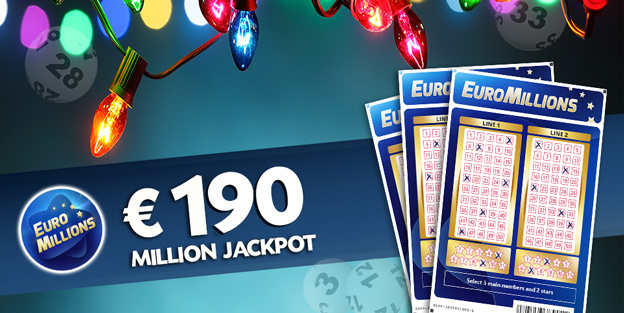 Before this year, EuroJackpot had only paid out its maximum jackpot of € 90 million on two occasions. But Europe’s second-biggest lotto started 2017 in style, with a maximum jackpot payout on January 6th! Remarkably, the jackpot fund was shared between five winning tickets, who all got their number selections exactly right. This year got off to a sensational start, and after a relatively quiet spring, it was great to see big wins returning to Powerball and EuroMillions over the summer months. Things have only gotten better as the year has progressed.